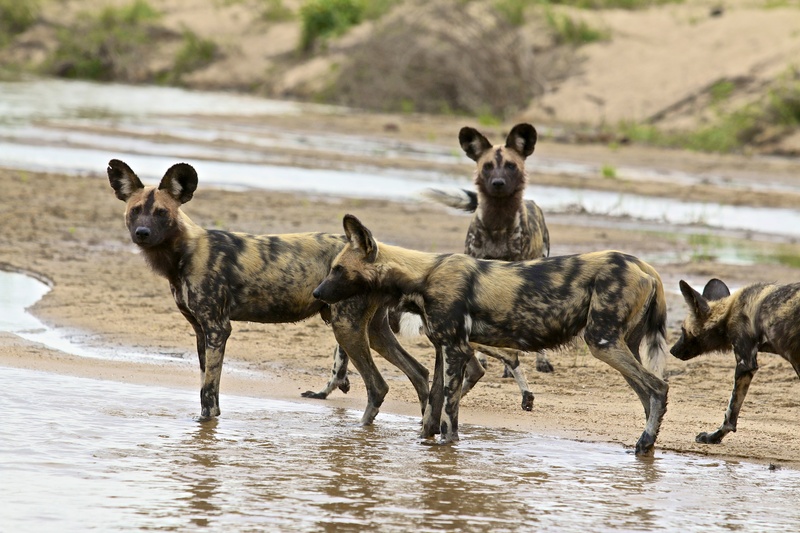 If you had to ask any traveller heading to Africa on safari which animal they desire most to see – I bet you African wild dogs wouldn’t be in the top three. Lions are usually right number one on the list, even though they are spectacularly lazy animals. 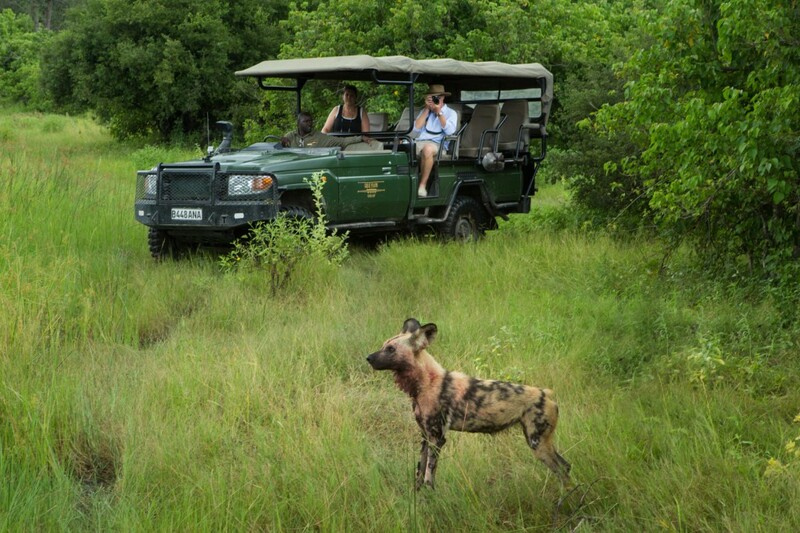 But ask any game ranger, safari guide or conservationists – the African wild dog should be on everyone’s ‘must-see’ list and is probably their favourite animal to observe in the bush. The African wild dog, also known as the painted wolf, has immeasurable amounts of energy and are extremely social animals. Both adults and pups enjoy playing and even their relaxation time is exciting to watch and involves some sort of frolicking. They cover great expanses every day and are the most frequent hunters. Firstly, there are approximately only 5 000 African wild dogs left making them critically endangered. This is despite the fact that they are Africa’s most successful hunters attaining 50% more preys than lions. These amazing statistics can be directly attributed to their individual and pack coordination. They are some of the best communicators and constantly let one another know their location and that of the prey, allowing them to quickly adapt while hunting. They are rarely sighted because they are most active in the early morning and evening or when the moon is at its brightest. African wild dogs are constant wonderers and their home or territories can range up to 1,500 km2. Their mottled fur is like their very own finger print. No two dogs have the same coat and the unique pattern makes it easy to spot individual dogs. 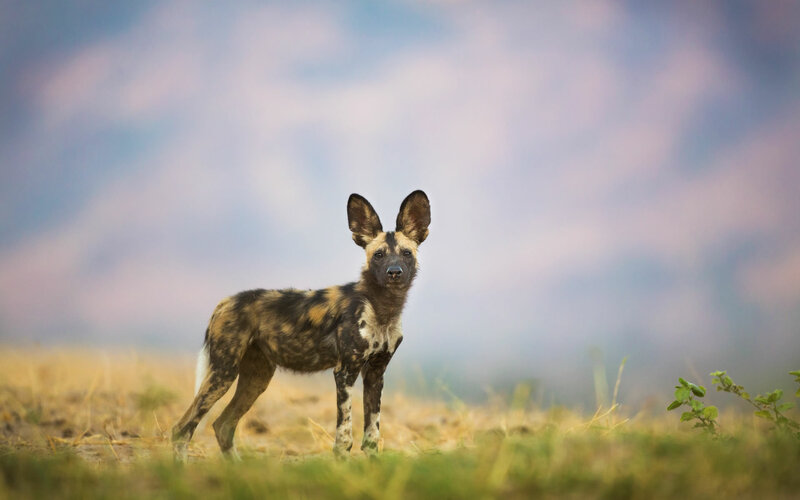 African wild dogs have large ears that resemble rounded satellite dishes. The ears have numerous muscles that allow the dogs to swivel them to pick up the faintest sounds. Their long legs, slender build and rapid muscle recovery ensures their successful hunt rate. But it’s not only their physical build that ensures they are formidable hunters. The act of hunting is the most spectacular activity of the wild dog. Here you will not only see their sociable nature but the importance of the pack. Pups that can eat solid food will be given priority to hunt, even over the alphas. But before they can hunt, the pups have a playful ceremony that bonds them and initiates the hunt. They circle the pack, vocalise and touch until the excitement overcomes them. 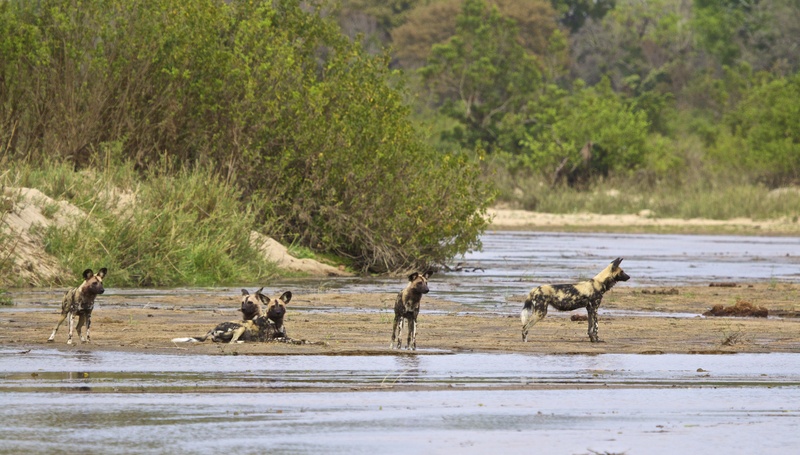 Wild dogs are not only emotionally competent and intelligent, they are extremely cooperative. While some dogs run ahead and keep close proximity to the prey, others will follow behind and tag team when the lead dogs are exhausted. Once securing the prey, it is shared among the pack, even with those who never helped hunt. They say it takes a village to raise a kid, and it does – even in the animal kingdom. Pups take preference over even the Alphas and all pack members take responsibility for and help raise the pups. We are all equals, and this extends to the wild dogs pack. Below the alpha male and female, there is no significant hierarchy. Unlike other social mammals, the females move from one pack to another when they reach sexual maturity at around 14 – 30 months of age. They will leave the male dogs behind to look after the rest of the pack and form the core of the social group. Another way African wild dogs communicate besides vocalisation is through body movements. If their tail is tucked between the legs it signals fear and submissiveness. But if the dog has an upright posture with its tail curled over its back it means it is sociable and friendly. Hardly an aggressive animal, this can be gestured by a rigidly upright posture. 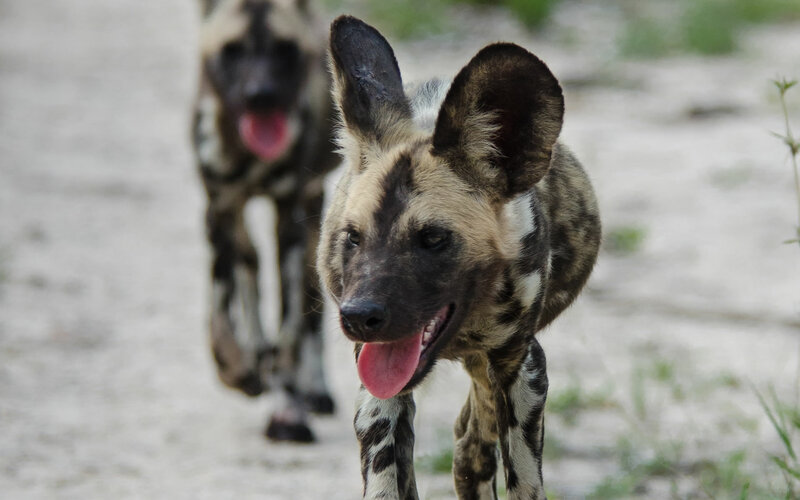 If we’ve managed to persuade you that seeing wild dogs should be on your bucket-list – let us know and we will help you make this dream come true!